Most living kidney donors pay at least some of the expenses related to donation themselves, which may limit how many people can afford to provide organs to transplant recipients, a U.S. study suggests. 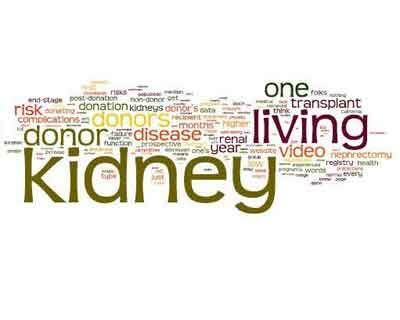 Researchers examined survey data from 796 living kidney donors on how much they spent for out-of-pocket medical costs as well as indirect expenses such as lost income or travel bills associated with donation. Overall, 78 percent of the donors shouldered some costs themselves, and 21 percent of them reported more than $500 in out-of-pocket medical bills and other expenses, the study found. “While the need for kidney transplants continues to rise, I do think that costs deter donors,” said lead study author Jennifer Wiseman, a living donor social worker at the University of Minnesota Medical Center in Minneapolis. In the study, donors were 44 years old on average and 53 percent of them were blood relatives of their organ’s recipient. The majority of donors were female, and nearly all of them were white. At the time of the donation, 83 percent of the donors had jobs and 84 percent had health insurance. While 72 percent of the donors reported no out-of-pocket medical expenses, 27 percent did pay for some of their care themselves and 6 percent spent more than $500, researchers report in the journal Transplantation. By contrast, 75 percent of donors reported non-medical expenses. Usually these bills were related to travel to and from the transplant center, and for 18 percent of donors, non-medical expenses exceeded $500. Even when donors reported no out-of-pocket costs, 23 percent still said they had at least moderate financial burden as a result of this experience, likely due to things like lost wages. To meet out-of-pocket costs, 35 percent of donors dipped into savings, 14 percent borrowed from friends or family, 7 percent had a fundraiser and 4 percent borrowed from a bank or credit union. All told, 22 percent of the donors received grant money from a local foundation or from the National Living Donor Assistance Center to defray costs. But 51 percent of these grant recipients still reported moderate to high financial burden. One limitation of the study is that the degree of burden is somewhat subjective and depends on a variety of factors like how easily donors can keep up with other daily expenses, the authors note. Still, the study adds to a growing body of evidence that living kidney donors face financial burdens that can discourage donations, said Dr. Peter Reese, a chair of the United Network for Organ Sharing (UNOS) ethics committee and a researcher at the University of Pennsylvania in Philadelphia. “Every person discouraged from donating means another person with kidney disease suffering and dying prematurely from end-stage kidney disease,” Reese, who wasn’t involved in the study, said by email. Even though organ donation is an altruistic act that shouldn’t be motivated by money, it also doesn’t make ethical sense for organ donors to shoulder huge costs, said Dr. Neil Wenger, director of the University of California Los Angeles Health Ethics Center. “Removing a financial disincentive is not the same as providing an incentive and could serve to permit potential donors to find it feasible to be able to act altruistically,” Wenger, who wasn’t involved in the study, said by email. In the long run, paying for donors’ costs may mean better outcomes for less money than letting transplant recipients remain on dialysis, often the only treatment alternative for people awaiting transplants, said Dr. Robert Truog, director of the Center for Bioethics at Harvard Medical School in Boston.